Marriage is tough, and sadly, there are times when the best solution to a crumbling relationship is to separate and divorce. This decision is usually difficult, and not decided easily. But, sometimes it is the best resolution to ending a destructive marriage. But, too often, the process is made even more difficult because one, or both, parties make foolish choices throughout the divorce. 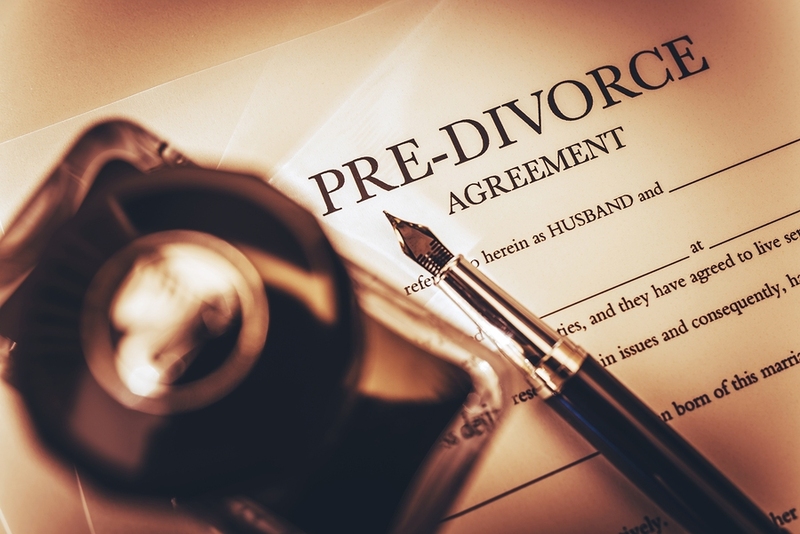 This can cost both individuals more time, money, and frustration as they try to finalize the divorce and move on with their lives. If you’re ending your marriage and want to minimize your headaches along the way, here are five things NOT to do during a divorce that may help. Don’t Go on a Spending Splurge. When you decide to get divorced, your finances will need to be closely scrutinized by the courts. Everything from asset division, child custody arrangements, debt disbursement, alimony or palimony agreements, and child support can be affected by the condition of your finances. You will need to account from the money you spend throughout this process, so watch your spending habits closely. Don’t try to get revenge on your ex by spending all of your combined savings. Be open and up front with all of your accounts and expenditures. This will help your divorce process go more smoothly from start to finish, showing your responsibility, openness, and honesty to the courts. Don’t Jump Into Romantic Relationships Immediately. A divorce can be a highly emotional time filled with surges of every thought, feeling, and suspicion. Adding a new relationship into the mix could bring about suspicions as to the cause of the divorce. You don’t want to give the courts any added reasons to question the reasons behind your divorce. A new relationship can place added stress and conflict between you and your ex during an already difficult time. Plus, it can make the divorce even more difficult for your kids to understand. Besides, taking some time for yourself to reevaluate your personal life, goals, and needs can be extremely therapeutic and cathartic. Don’t Hide Things From Your Attorney. Your divorce attorney needs to know everything about your marriage; the good, bad, and ugly. Be up front with your attorney about every important detail pertaining to your relationship with your spouse including anything related to your children, work, finances, personal lives; anything that relates to your divorce in anyway should be divulged from the start. Any hidden information that you withhold from your attorney could destroy your case during a divorce, so help your attorney out by allowing him or her to be prepared for any curveballs your ex may try to throw at you. Don’t Speak Negatively on Social Media. With the immersion of social media into our personal lives, the world knows everything about everything with just a glance at their phones. Resist the temptation to vent your every frustration, embarrassing story, incriminating photo or insult on Facebook or Instagram. Save this information for your attorney and the courts. Things said in the heat of the moment online may be deleted from your screen, but they are never permanently gone. They may come back to bite you if your ex tries to use this against you. Plus, any drama related to your divorce that you publically post online could be hurtful to your kids, family, or friends that may feel caught in the middle of your divorce. Show your attorney, the courts, and your ex that you can stay composed and in control of your emotions and behavior, even during a divorce. Don’t Use Your Kids as Pawns Against Your Ex. You may not intentionally do this, but it can become too easy to use your children as a tool against your ex. Resist the urge to complain about your ex to your children. If they’re old enough, they understand what’s happening. They need you to be strong and supportive of them during this time. Don’t withhold or change scheduled visitation plans to get even with your ex, and try not to put your children in the middle of any arguments between you and your ex. Consider what’s in their best interest, as they deserve to remember the best in their parents, and not the worst. Getting a divorce can be a complicated process. Don’t feel like you have to go through this alone. You may not have the knowledge or resources to ensure your divorce is settled fairly and justly, but an experienced divorce attorney can offer you the help you need. To learn more about getting a divorce in Lucas County, contact Michael E. Bryant, Attorney at Law today. He has been helping good people through hard times throughout Northwest Ohio since 2009, and he has the experience needed to help you reach the best possible outcome from your divorce. Call 419- 243-3922 today to schedule your free, no-obligation consultation.